The unique contribution to the Easy Locator GPR product family has arrived – MALÅ Easy Locator Pro WideRange HDR GPR, with the widest GPR antenna bandwidth available for utility detection on the market. The effective bandwidth range of 80-950 MHz with ultra-fast simultaneous high-resolution data acquisition for both shallow and deep targets – all in one solution – takes the surveys and deeper investigations to a literally ground-breaking new level. Software engineers at Guideline Geo – MALÅ, have made their utmost to maintain the simplicity of the user-friendly interface – gaining easy access to the benefits of the new antenna. The high-resolution display will present the WideRange HDR GPR data with a movable horizontal divider at the center of the screen. By moving the divider (up or down) the user will be able to view more (or less) of the high resolution or deep penetrating data respectively. 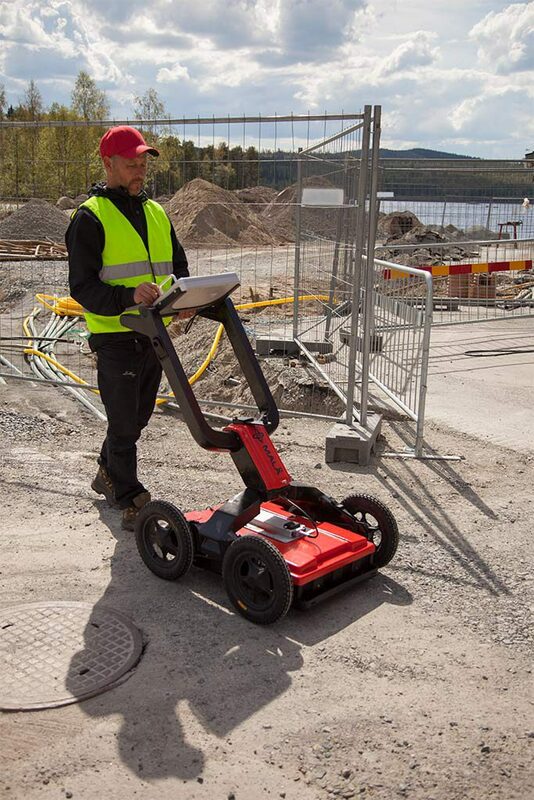 The MALÅ EL Pro WideRange HDR GPR is offered with the new release of ObjectMapper 2.0, which is an easy-to-use and appreciated software for utility detection professionals. The new 2.0 version includes an improved and intuitive interface and support for online maps. MALÅ Easy Locators mean end-to-end solutions for effective utility detection. Robust, foldable GPR-systems with exceptional data collection capabilities, offering results within minutes, directly on site. From simple to advanced, but still with quality and ease-of-use in common.